Width 16 ft. 0 in. Approx. Height 18 ft. 0 in. 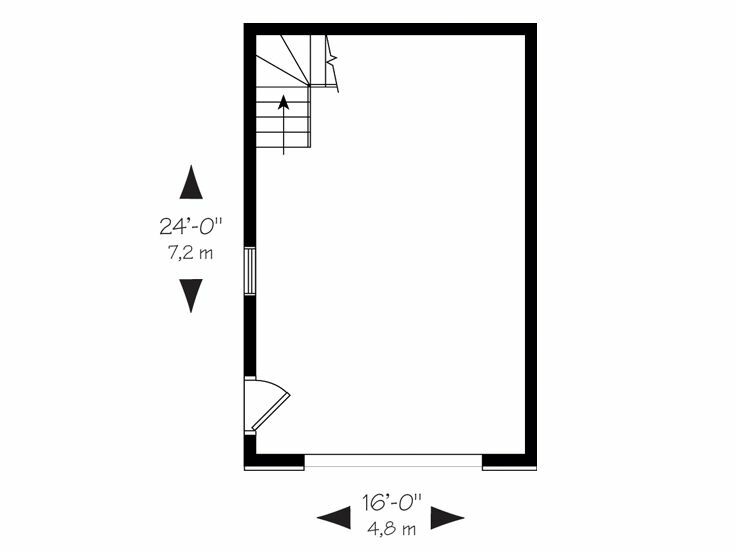 First Floor 8 ft. 6 in. 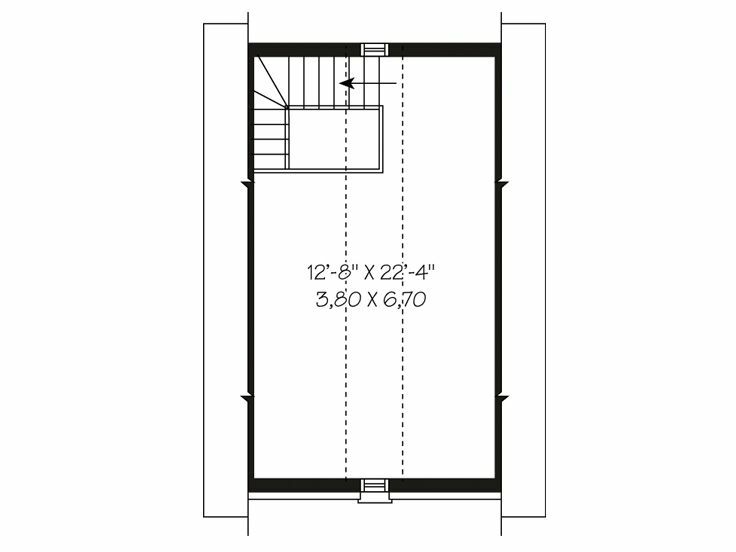 Second Floor 6 ft. 0 in. Looking for a garage that will add charm to your backyard? 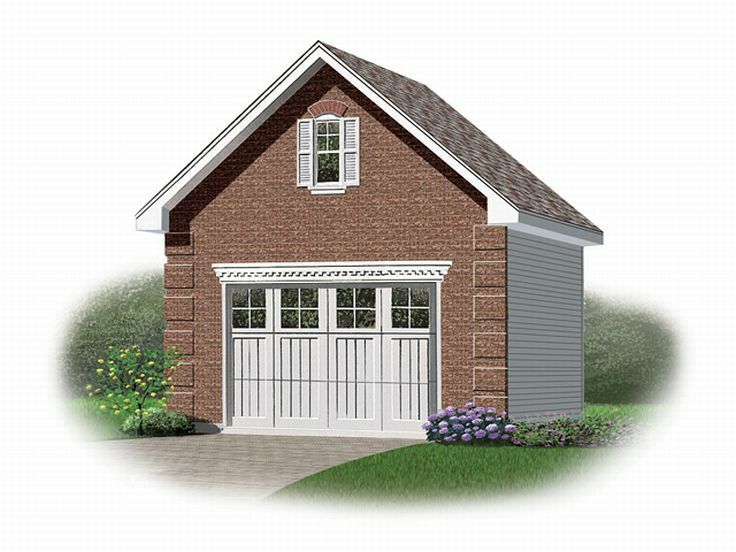 This one-car garage plan is the design for you. A brick façade, reverse gable roof and decorative details lend stylish appeal. 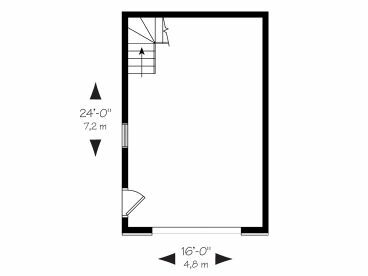 The first floor holds the single-car garage providing 384 square feet of unfinished space. Interior stairs point the way to the loft sporting 274 square feet of storage space. Good looking and functional, you can’t go wrong with this garage plan with loft.